So my brother has a PhD from the London School of Economics. He works at RAND (that “consultant” to the Pentagon). Sometimes I think he’s a CIA analyst because he occasionally makes clandestine trips to South America. …But I ain’t scared. He’s also a passionate conservationist and outspoken defender of the weak and champion for social justice. But then again…he’s incredibly skilled with a knife. In fact, he’s quite the butcher. After three years of self-training, including apprenticing under Mike Smollon, he’s ready to take the plunge into some serious butchery. 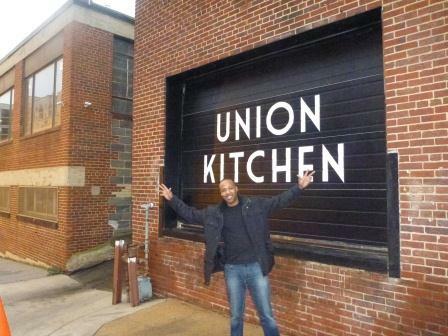 He’s joined the culinary incubator at Union Kitchen in DC–already being praised by the press, Mayor’s Office and foodie scene, Union Kitchen promises to take the small army of food artisans in the area and give them a commercial home, launch advice and start-up expertise. 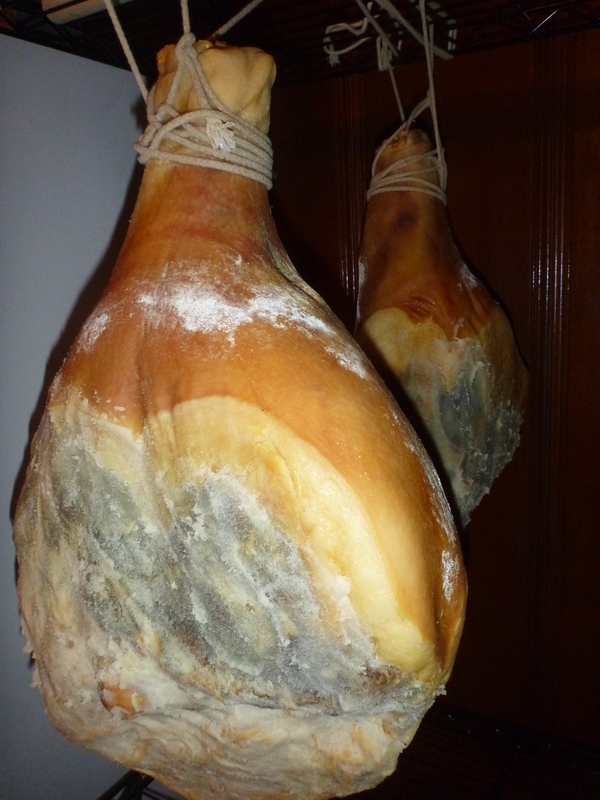 Over the past few years I’ve tasted his bresola, guanciale, salumi, duck prosciutto, lardo, chorizo, and aged steaks among other delicacies. I helped Cured DC move into their new digs over the weekend, after he wired up his new cure box. We had a wonderful lunch at Red Apron over in Union Market afterwards and discussed his future. He plans to offer a CSA-type approach with classic staples, and include limited edition cured meats with a special seasonal items. I can’t wait! For a full post with more pictures head over to Cured DC’s re-tooled blog here. And just in case you think he ain’t serious…here are couple of pix I snapped from his “secret stash”. 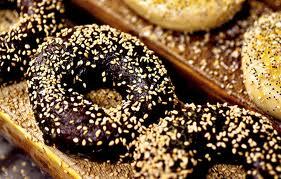 We finally found New York bagels in DC–well Silver Spring to be more exact. Goldberg’s Bagels is easy to miss when you’re driving up Georgia Ave to the Beltway, in fact, its easier to hit when you’re coming BACK from whatever took you out of the beltway in the first place. You could just choose to cross the 8 lanes of traffic though to zip into the little strip mall that houses this precious jewel. My wife and I were skeptical of course, but as soon as we walked in we knew we had hit the jackpot–because you just KNOW the smell of a quality bagel place, and the first smell that hit me was whitefish. The hospitality and smiles were genuine and we had to take home half a dozen, starting with one of their famous Black Russians (pumpernickel with sauteed onions in the dough and sesame seeds) with a whitefish smear. Oh baby. Delish. Everyday I look out the window for signs. Yesterday sparrows visited my birdfeeder first thing in the morning. And then just at dusk, I spotted an enormous eagle perched on the building opposite–she looked pregnant. And then I heard that last week Punxsutawney Phil has predicted an early Spring. Sure, if you live on the NE corridor with the impending blizzard this weekend–you just ain’t feeling it. But down here in DC (which really is “the south”), its balmy. A couple weeks ago I posted on my little getaway to the Piedmont and now I’m thinking, what would Rose River Farm look like in all its Spring glory? I’ve become such a fan of what Doug Dear has put together at Rose River Farm that I thought I’d share these two videos of the operation they got going on down in Madison Co, Virginia, just 90 min. drive from Washington, DC. When’s the first day of Spring again?